Sublime inspired talent on the decks with an image and style that is in a class of her own!!! All ready this year Eve Carey has played and brought her Musical genius too many music inspired people and rocked!!! Playing worldwide for 21 years Eve Carey is considered one of the top female DJ's with a reputation and technical ability that rivals any DJ in her class. Eve has worked on tour for Ministry of Sound, exclusively with Pacha Agency – Brazil & is elegantly supported by brands UMM & FLY53 clothes. Gaining a huge name in India, where she is currently based, Eve holds a residency at Leopard Valley, Goa. Playing the elite hot-spots throughout east Asia, Eve regularly tours with Kingfisher, Kingfisher Fashion Week After Parties, F-Bar, Eristoff Vodka, Bacardi & Red Bull. 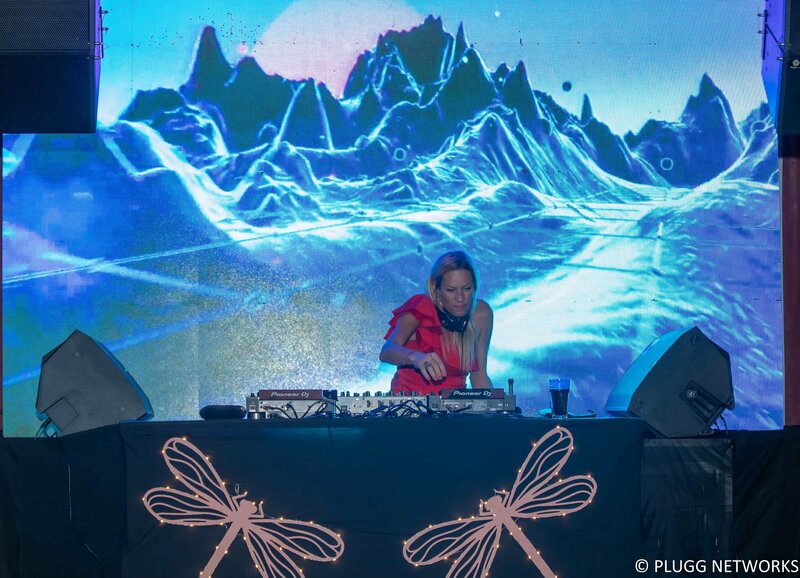 Living in India opened the door to one of Asia’s biggest Independent Entertainment Agencies and Eve continues to work alongside the Submerge team, playing at MTV Events, Sunburn after parties, Adidas & Mercedes. With a busy work schedule Eve still couldn't turn down the opportunity to headline the huge STOMP festival in Sri Lanka & Oktoberfest, Goa. In Brazil she made a name for herself playing at "HMF" Brazil alongside Tiesto, Eddie Haliwell & Tocadico to 25,000 people. She regularly plays on tour all over Brazil including events for Pacha, Pacha Fetish Party, the famous Kiss & Fly VIP Club & many more. In 2008 Eve made history when Charly's Angelz (Eve Carey & Miss Behavin) were booked to play in Damascus, the first time any international DJ's had ever been booked to play at a party in Syria. Her life-long passion for music took a definitive step at the age of 17, when she got a job in a recording studio, Birmingham. Sitting in on studio sessions & discovering the Technics 1210's Eve mastered the decks & wasted no time showcasing her talents throughout the clubbing scene. Known for her energy behind the decks, Eve describes her musical style as "a combination of Tech House, Bass House & Big Room beats mixed up with a dash of spontaneity." Godskitchen, Hed Kandi, Ministry of Sound, Pukka Up & Miss Moneypennys are just a few of the prestigious nightclubs that headline Miss Eve Carey along with Perfecto, Ultra Vegas, Pacha, Angels of Funk, Charly's Angelz, Cocoloco & more. You can find her globe-trotting & commanding the crowds of clubbers in the cities premier venues throughout the weekend. Eve has held her own playing alongside the DJ greats such as Frankie Knuckles, Farley Jackmaster Funk, Ray Roc, Tiesto and more. With experience, a sassy attitude & the looks of a cover girl, Eve skills rock any dance floor, in any city. Worldwide.